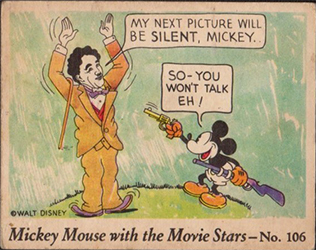 This 1935 Gum Inc. set is a continuation of the 1935 Mickey Mouse (R89) set. 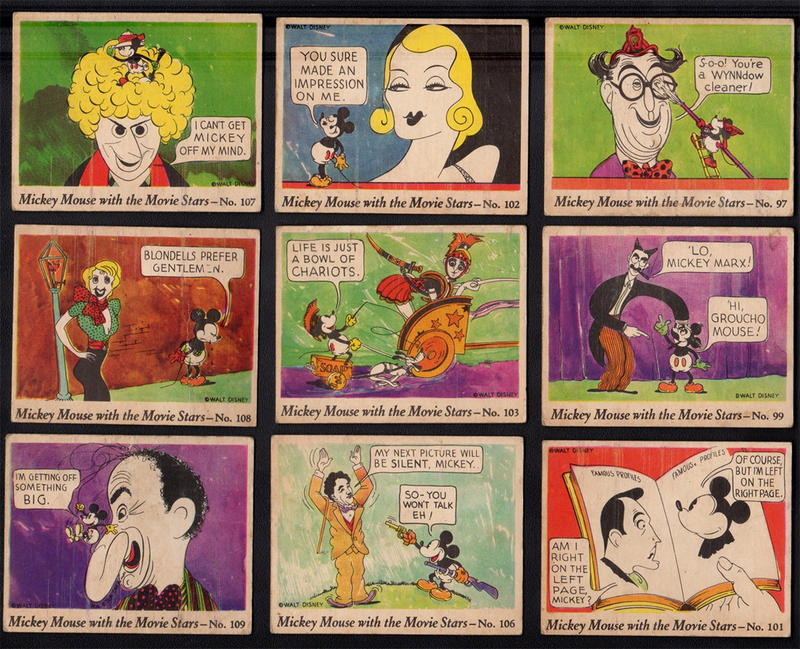 This set contains 24 cards and is numbered from 97 to 120. 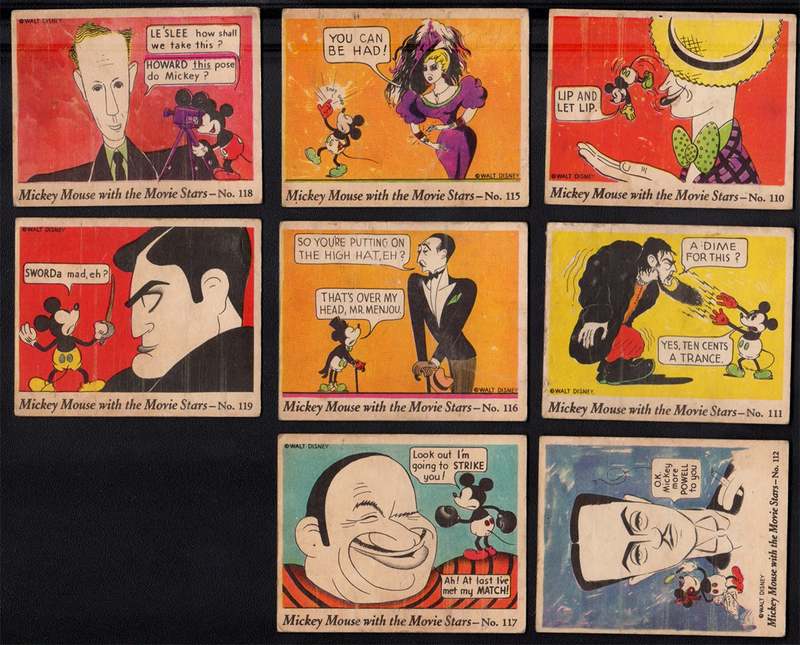 The cards feature cartoon drawings of Mickey Mouse and many of the famous Movie Stars of the 1930's. 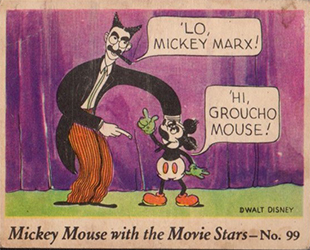 Stars featured on these cards include Groucho Marx, Harpo Marx, Mae West, Will Rogers, Edward G. Robinson, Charlie Chaplin, Boris Karloff, Greta Garbo, Douglas Fairbanks, William Powell, Joan Blondell, Jimmy Durante, Laurel and Hardy, and others! These cards measure 2-1/2" by 3-1/8" in size. The fronts are full color drawings and the backs have questions and answers relating to the front pictures. Cards from this set are very rare and this is one of the most popular of all non-sport issues!